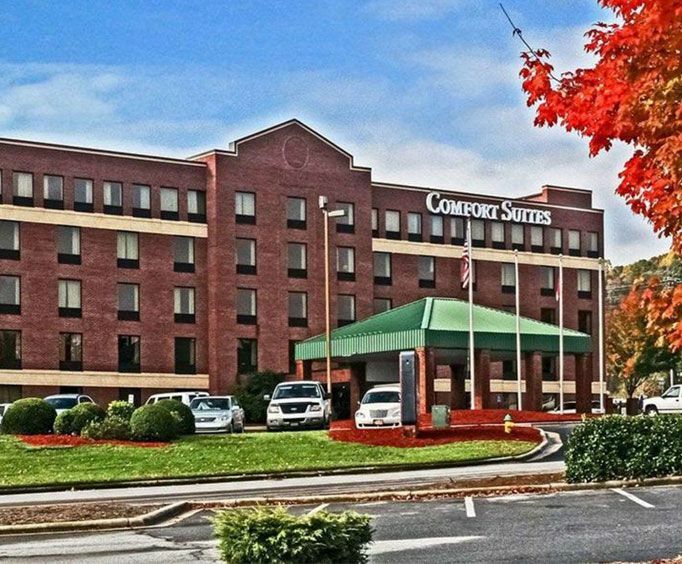 The Comfort Suites Biltmore Square Mall - Asheville NC offer you the chance to stay right next to the Asheville Historic District. This hotel is located on the same block as a shopping district that includes the Ashville Outlet Mall. This hotel is located less than a quarter of a mile from Highway 26, which allows you access to the north part of Ashville. 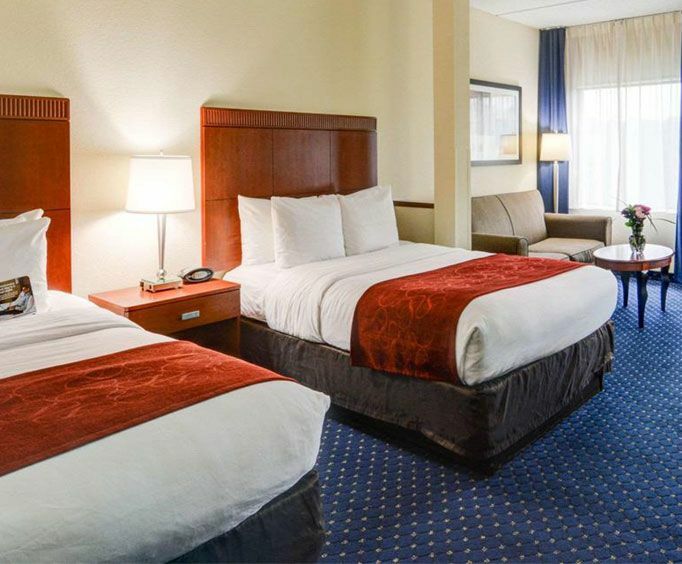 The close access to this road means that this hotel is a great option if you are driving into town for business, or if you are planning on exploring the wilderness areas that start just across the street from this hotel. 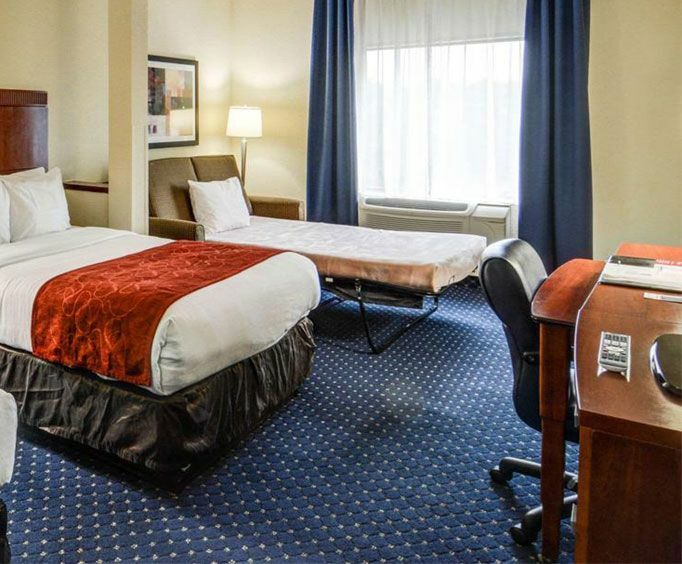 This hotel offers a comfortable space that is perfect for business travelers. There is a convention room that is a good place to hold large meetings. There are also a number of small conference rooms that work for smaller groups. These spaces can be reserved for very cheap, and it is not difficult to book a conference room for an entire weekend. The hotel offers a large lobby with free coffee, and the hotel is set away from the highway. This means that one can enjoy an experience that matches the woods are next to this hotel. These Comfort Suites are fitted with rooms that have modern accommodations. Each one of the 125 rooms are completely smoke free. The rooms have large forty inch televisions that have USB ports so you can play music and movies off of mobile devices. The entire hotel his free wireless internet, and the rooms have HDMI ports so you can have even quicker internet.